(Nanowerk Spotlight) The generation of random numbers – the generation of a sequence of numbers or symbols that cannot be reasonably predicted better than by a random chance – usually is done through a random-number generator. As more interconnected devices are developed to manage personal and sensitive information, there is a growing need for robust security online. Random number generators are of paramount importance in these security applications. To date, hardware-based true random number generator (TRNG) implementations based on conventional rigid semiconductor substrates and processing methods have found limited utility in flexible electronics applications. Even within solution-processed semiconductors, security device demonstrations have been limited to physically unclonable functions (PUFs) that create static, chip-unique cryptographic keys. In contrast with TRNGs, the demonstrated PUFs are unable to perform critical tasks commonly used in encryption protocols, such as dynamically generating secure keys and random padding bits. New work, just published in Nano Letters ("Solution-Processed Carbon Nanotube True Random Number Generator"), presents a significant milestone in enabling higher level cryptographic solutions using scalable solution processing: The realization of the first TRNG using static random access memory (SRAM) cells based on solution-processed carbon nanotubes that digitize a truly random physical phenomenon (i.e., thermal noise) to generate random bits. "We have demonstrated that one of the most important security primitives, i.e. a true random number generator (TRNG), can be realized within the rigorous constraints required for future Internet-of-Things (IoT) electronics," Mark C. Hersam, the Walter P. Murphy Professor of Materials Science and Engineering at Northwestern University, tells Nanowerk. "The solution-processability of semiconducting single-walled carbon nanotubes allows us to meet these strict constraints by simultaneously enabling small-scale, low cost fabrication of low-power, ultra-thin, printable, and mechanically flexible security devices." This approach requires minimal computational overhead to produce highly random bit streams as confirmed through a series of rigorous tests including the National Institute of Standards and Technology (NIST) randomness statistical test suite (STS) and the TestU01 battery tests. This bit generation strategy, which uses scalable fabrication methods, can be readily implemented in hardware with minimal transistor and computational overhead. "It is also worth noting that our TRNG successfully passed randomness testing that is typically used to evaluate commercially available random number generators," Hersam points out. 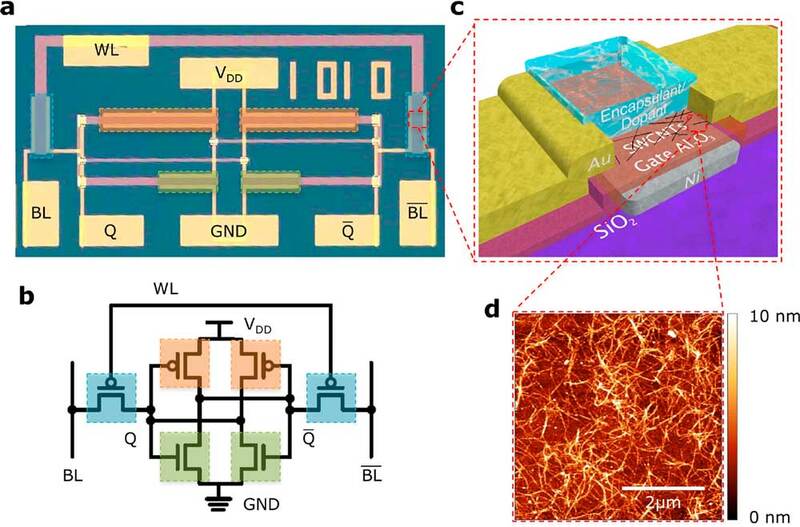 With digital electronics and communications circuits already demonstrated using carbon nanotubes, the team's TRNG enables the development of complex printable electronics that can compute and wirelessly transmit information under rigorous security protocols. First, it reveals a strategy for enhancing the security of printed electronics, which is envisioned to be a key manufacturing technology for the IoT. Second, the team demonstrates this device in a solution-processable, low-cost, small-scale format that is ideally suited for related printable and mechanically flexible electronic applications. Finally, the TRNG described in this report is readily scalable and reproducible, thus enabling a wide array of integrated security applications for next-generation portable and wearable electronics. 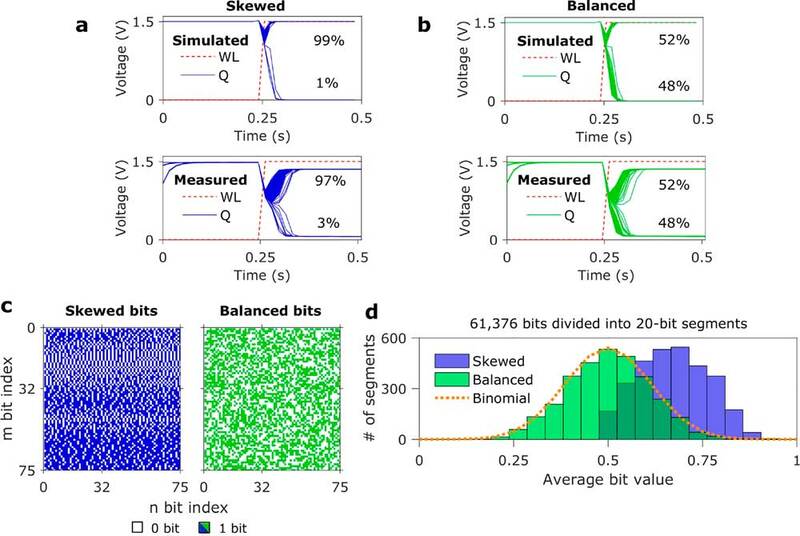 "Since the solution-processed TRNG described in our publication is readily scalable and reproducible, we intend to build upon this important security primitive to achieve a wide array of higher-level integrated security solutions necessary for next-generation printed electronic devices and systems," Hersam says. "While our devices function properly as a TRNG, the speed of the component transistors is relatively modest. Therefore, future research will focus on improving the operating frequency of these devices," he concludes.